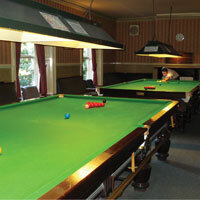 The snooker room is open to all club members and has a welcoming and informal atmosphere, where people of all ages can enjoy a friendly game of snooker. 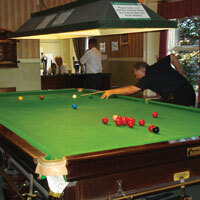 The club has a 3/4 sized snooker table in the games room whilst the main snooker room has two full sized snooker tables that are regularly maintained to a high standard. 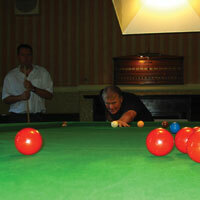 There is ample seating around the room where members can sit and enjoy watching a game of snooker in a quiet and relaxing setting. 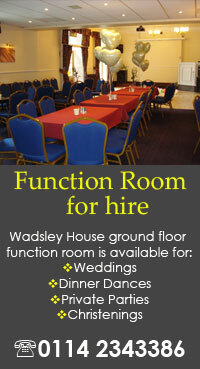 Within the snooker room members have direct access to the bar which is reasonably priced. Whilst the snooker section runs many successful snooker competitions throughout the year, Wednesday night is snooker league night. 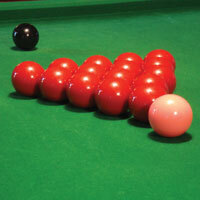 Snooker night is a great way to catch up with friends whilst enjoying a drink and light refreshments.